Do you play the harp? Or just like the way harps look? 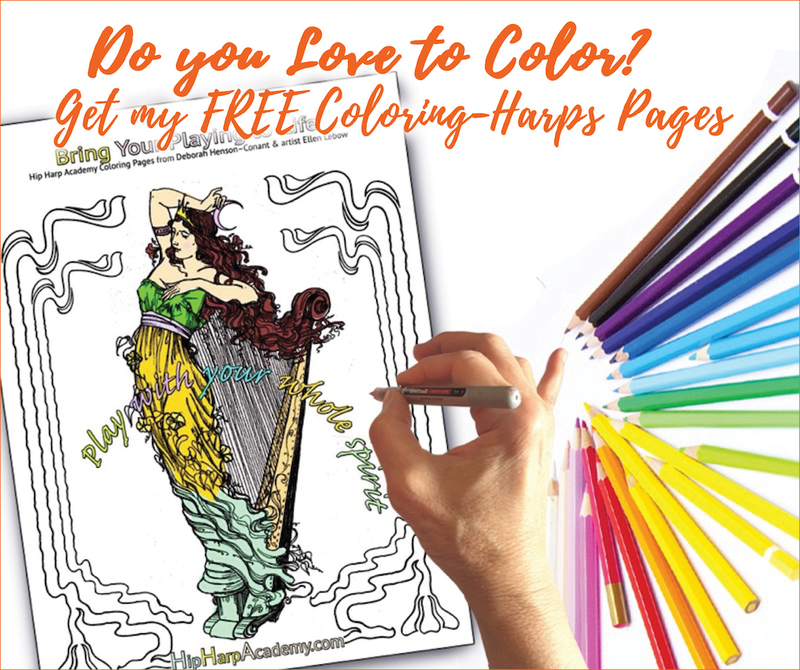 Download my FREE HARP COLORING PAGES! 3 original drawings by artist Ellen Lebow in a PDF set of coloring pages you can download for free. YES! I want to color harps!! I’ve always loved working with artists, and asking them to illustrate my ideas and my projects. 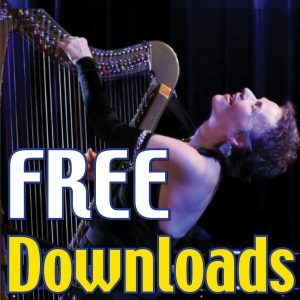 For many years I hired one of my favorite artists, Ellen Lebow, to create images of ‘Harp-Ladies’ and “Bass-Guys” which I used in my newsletters and in my recordings. I also used to collect old clip-art frames. 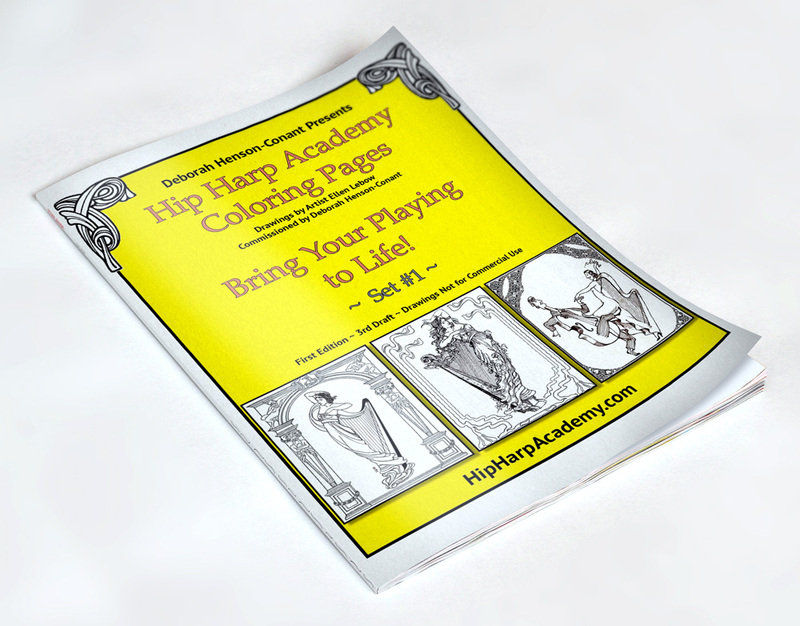 So, just for fun – I put those two great design ideas together in this Harp Coloring Pages project. These are some of my favorite drawings by Ellen framed by some of my favorite old clip-art frames. I hope you enjoy them. Please tell me if you do, please share your colorations with me on Facebook and make sure to tag me so I can thoroughly enjoy them!